Who knew brownies could be so controversial? Don’t think. 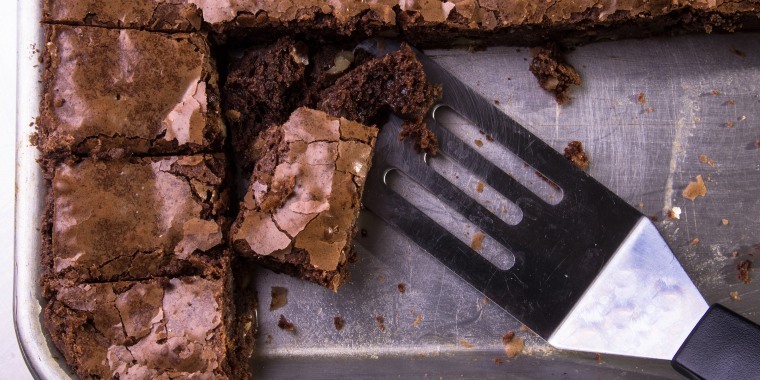 Which type of brownie is best: the chewy center or the crispy edges? TODAY's Dylan Dreyer dished up the age-old debate this morning and Al Roker, Carson Daly and his food-blogger wife, Siri Daly, had some fiery feelings about the issue. Which is the best brownie part - the edge or center? Al answered first, as a strong-willed “edge” supporter, followed by Carson and Dylan also joining the crispy camp. But Siri, not to be swayed by her opinionated peers, voted for those soft, gooey center pieces. Although the brownie edges won out among TODAY’s anchors, public opinion remains unsettled. You can tell a lot about a person based on whether or not the like the edge or the center of a brownie. Fixed a pan of brownies for the weekend family excursion and for some reason, the savages ate out all of the middle brownies and left the edges WHICH ARE MY FAVORITE AND NOW I HAVE TO EAT THEM ALL. Edge brownies are the worst. It's center brownies or nothing. Sorry to tell you that you edge lovers are wrong. Despite her love for the softer brownie, Siri had a quick tip for all her crunch-loving friends. The genius pan really exists. Amazon calls it the “Baker’s Edge” pan. 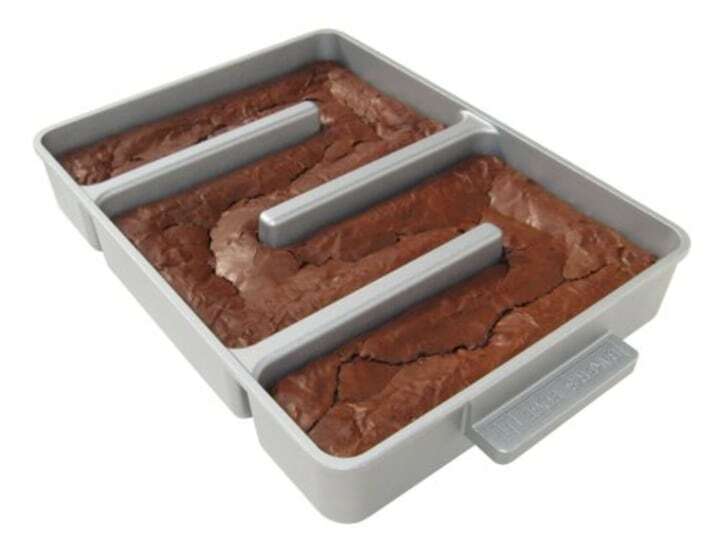 With three prongs extending from the pan’s side, it gives every brownie two crispy edges. Sadly, much to team center’s chagrin, no such pan exists for center-only brownies. But while it seems that this debate is very divisive, there is a large crowd of brownie fanatics that have equal love for edges, corners and centerpieces alike. Sometimes, it's the center brownie calling to us. Other times, there’s nothing better than that satisfying crunch. If, like us, you just got a hankering for something sweet, we've got you covered with brownie recipes for every taste. Try cooking up a pan of salted dark chocolate chunk brownies, if you’re craving something decadent. If you’re feeling extra bold, maybe a Milky Way Brownie Pie or Oreo Cheesecake Brownie Bars could hit the spot. Hot to make healthier brownies: Make them with sweet potato and black beans! Regardless of your preference for chewy, gooey, crispy or crunchy, chances are, in a good batch, no brownies will ever go to waste.